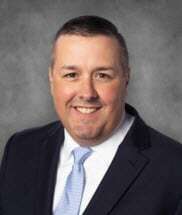 Matthew C. Curran focuses his practice on business matters and commercial litigation. Matt litigates cases involving partnership agreements, operating agreements, and other commercial matters including leases, supplier and vendor contracts, severance and non-compete agreements, service agreements, and construction contracts. He also litigates cases involving property damage, personal injury, premises liability, product liability, medical and professional malpractice, regulatory matters, and false advertising. Matt regularly advises businesses and business owners on a variety of subjects including risk assessment, risk mitigation, and dispute resolution. As part of his practice, he negotiates private shareholder disputes and issues surrounding non-compete agreements. He also helps clients resolve matters concerning commercial and residential leases. In addition, Matt has led internal investigations and has experience responding to governmental investigations, subpoenas, and facility inspections. Matt also has experience identifying and pursuing financial recovery opportunities, advising on e-discovery compliance and process improvements, and conducting employee training on various compliance matters. Prior to joining Lindhorst & Dreidame, Matt served as an in-house attorney in the global litigation group of a multinational corporation with retail, wholesale, and manufacturing divisions. Matt started his career in the Cincinnati office of large law firm practicing complex commercial litigation. Matt is a Cincinnati native who grew up in Anderson Township and graduated from St. Xavier High School. From there he went to Indiana University and ultimately to Boston College Law School. Prior to attending law school, he worked in Chicago for an international marketing and public relations firm. As part of his duties, he acted as a national spokesperson for a telecommunications company that was a major sponsor of the National Football League. In that role, he traveled the country attending Monday Night Football games as part of a publicity tour, hosting ticket giveaways, autograph signings with NFL Hall of Fame players, and giving promotional interviews on local and national television and radio. He currently resides in Oakley with his wife, son, and the family beagle, Pudge.